Whether you purchase a used RV or travel trailer in Pennsylvania from an individual or a central Pennsylvania RV dealer, there are certain things you should check before making the transaction. 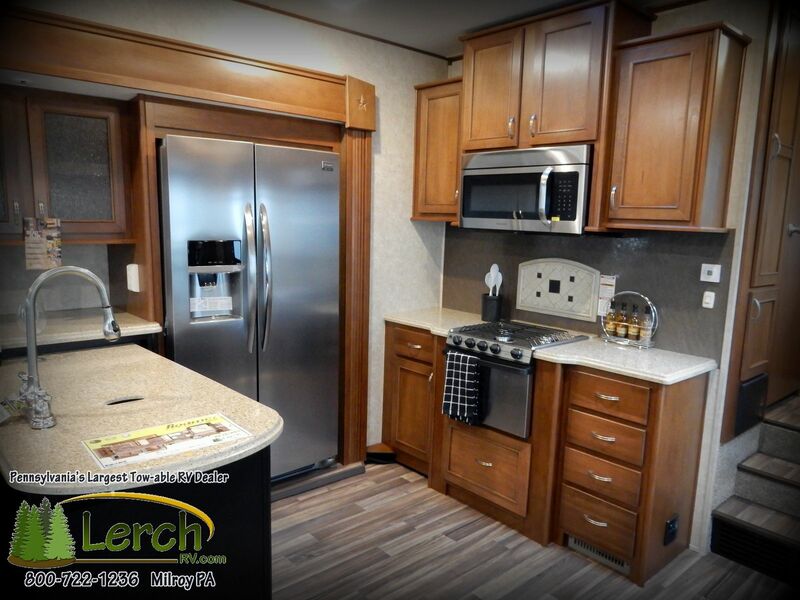 Usually, a dealership,like Lerch RV will repair the RV or travel trailer, if needed, before selling it, so a used travel trailer or a used central Pennsylvania RV dealer is a better option. If you are buying a trailer from a private individual, make sure everything works.If the travel trailer or RV comes with a generator, start the generator to ensure it works. Let it run for at least 10 minutes. While the generator is running, check the interior. Turn on the lights. Start the refrigerator if it has the option to run on electric. Check the microwave. Check the faucets to make sure the handles, the shower handle and the drain plugs all work. There may not be water in the tank, but you want to ensure that the handles are not stripped. Some drain plugs have a handle on the spigot or the faucet — these are the things you need to check. Make sure the toilet operates properly. The flush and rinse sliders — if you have that type of toilet — should operate without sticking, and they should not be loose. If the travel trailer or fifth wheel RV has an air conditioning unit, turn the air conditioning on to make sure it works. If the heat uses gas, you may not be able to check the heat unless there is gas in the tanks. The same goes for the stove. Once you are happy that everything works on generator, plug the RV into an outlet if possible. Check to see if everything works with the RV or travel trailer plugged in. Check in all cabinets for roof leaks. Roof check around the vents for signs of leakage. In most cases, a dealership will repair the leak and fix the water spots on the ceiling, but they may not fix the water spot in the overhead cabinets. Check under the RV or travel trailer to ensure that the floor is not rotting out if it is wood. A lot of older campers were made completely of wood, which tends to rot, especially at the wheel wells. Check the tires. Make sure they have decent tread on them and that the tires do not look dry-rotted. If you are purchasing a motorized RV, check all the fluids. The radiator should have antifreeze and water and it should be clean. Antifreeze could be green or orange, depending on the type used in that motor. Check the oil. The oil should look clean. Check the transmission fluid. Transmission fluid should be pink. If it is brown or smells bad — transmission fluid has a distinct smell when it is new, and smells pretty nasty when there is something wrong — there could be a problem with the transmission. Check the brake fluid. Start the RV and take it for a test drive. Make sure the RV shifts correctly. If it has an automatic transmission and shift fine on its own, check it further by manually shifting it through the gears. At a stop, put it in first gear. Move forward. As the rpm raises, shift it into second, than third. You should hear or feel the shifts. If the RV has a tachometer, the tach should drop when you shift the transmission. When you get back to the dealer or individual that you are buying the RV from, check the oil and transmission fluid again. The oil should still look clean and should not have a frothy look to it. If the oil looks frothy — almost like someone poured milk into the oil — the RV could have a head gasket problem. The transmission fluid should still be pink. Check around all of the hoses and make sure nothing is leaking. If the RV engine runs smoothly and the fluids look good — and the price is right — you may have just found yourself your next great adventure. The HerrMAN, a 16-ton RV. While most people opt for a small light weight RV, a couple from Germany set out to ‘tour the world’. Read below to see how they have accomplished this trip. Have HerMAN will travel…. While recreational vehicles are good enough for many going on long distance road trips, this German couple opted for something more extreme and heavy-duty for their around-the-world journey. Their choice vehicle is an 18-tonne army six-wheeler truck converted into cozy mobile home. The mighty mobile is affectionately called HerrMAN. Seasoned traveler: HerrMAN has so far been to 18 countries and clocked 40,000km. Stefan Sigl and Petra Mester have been on the road for two years, travelling 40,000km and have visited 18 countries since leaving Germany in November 2009. They drove into Malaysia from Thailand early last month and had visited Switzerland, Italy, Greece, Turkey, Jordan, Saudi Arabia, China and Laos to name a few. “Although I have used a recreational vehicle before, I felt that I needed something more robust as the countries we will be visiting might have very bad roads,” he told reporters during a stopover at Continental Sime Tyre’s Petaling Jaya head office here yesterday. HerrMAN was fitted with Continental’s heavy machinery all-terrain tyres when it left Germany. During their stay in Malaysia, the truck will get a new set of tyres to continue its journey. Sigl, 50, used to work in the media industry before venturing on the road trip. Mester, 51, meanwhile, was a teacher and social worker. Auxiliary wheels: Sigl showing the scooter and bicycle in the mini-garage. The couple has two children a son, 30, and daughter, 27. The idea to go on the “big journey” came up around Christmas in 2003. Sigl bought a MAN KAT1 6X6 truck in 2005 and spent the next few years converting it into an apartment on wheels complete with beds, toilet, air conditioning, deep freezer, microwave oven and washing machine. The vehicle even has a mini-garage where Sigl keeps a scooter and a bicycle. He said HerrMAN was a combination of the German word “herr” which meant mister and MAN which was the truck brand. Rest and recreation: Mester showing the ‘living room’ of HerrMAN. “In English, our vehicle is Mr MAN,” Sigl said, adding that it was also a tribute to his father whose name was Herman. Sigl said they enjoyed their stay in Malaysia as the locals were friendly and that everyone could speak English. The couple intends to stay for a month or longer and plan to visit the key attractions on the west and east coasts. After that, they plan to ship HerrMAN from Malacca to Indonesia. They also aim to visit Timor Leste, Australia and New Zealand before continuing to South America. Pennsylvania RVers get the big AdVANTAGEs. Vantage. The new perspective in camping. A brand new perspective in camping. Vantage from Keystone combines timeless beauty with modern technology to create a new travel trailer unlike anything on the market today. By utilizing curved,laminated fiberglass side walls and an arched roof, Vantage delivers wide-body livability and comfort in a look that clearly stands apart. And the Vantage interior is also extraordinary, tastefully incorporating contemporary-glazed maple cabinets, two-tone fascia, and an open spaciousness that is uncommon and pleasing. Available in three distinct floor-plans including a quad bunk model. Classic, timeless shape that will look good many years from now. Cool tone high gloss gray exterior with black accents(bumper, wheel-well, windows). Low slung chassis with a shorter overall height (to top of A/C). Uniform window line (all windows same height and distance off floor), clean appearance. Large (7″) radius transition from side wall to roof. Slide-outs that conform to wall curvature – inside and out! Full front and rear caps. No boxy edges. Window awning on front cap conceals window, provides exterior storage location. Recessed LED exterior lighting throughout. Even in bunk area. Classic round tail lights recessed into cap. Separate high impact ABS rear bumper with hair-cell finish. Exterior convenience center on ODS. Vaulted ceiling with 7’interior height. Low center of gravity allows for smoother towing. 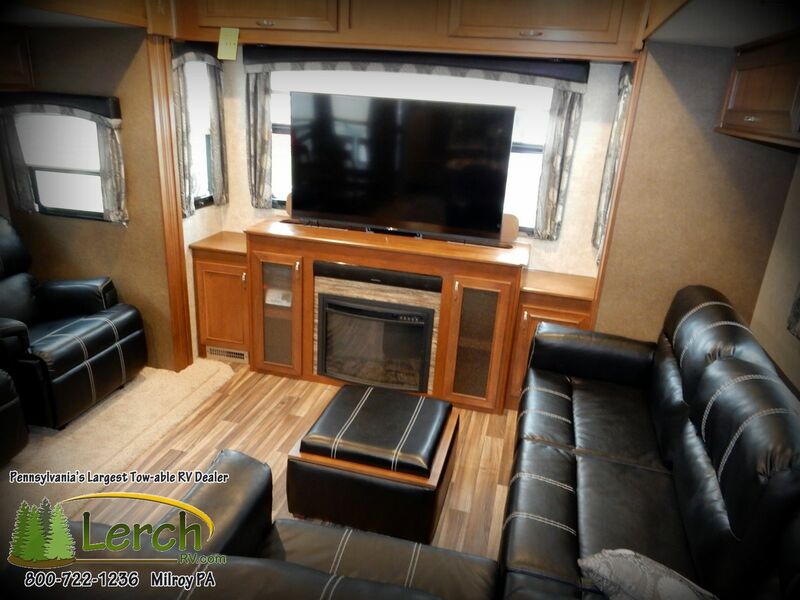 Contact Pennsylvania’s first Keystone Vantage Dealer today for more information on this remarkable camper. You can reach us at 800-722-1236. New RV owners usually have a lot of information to digest. 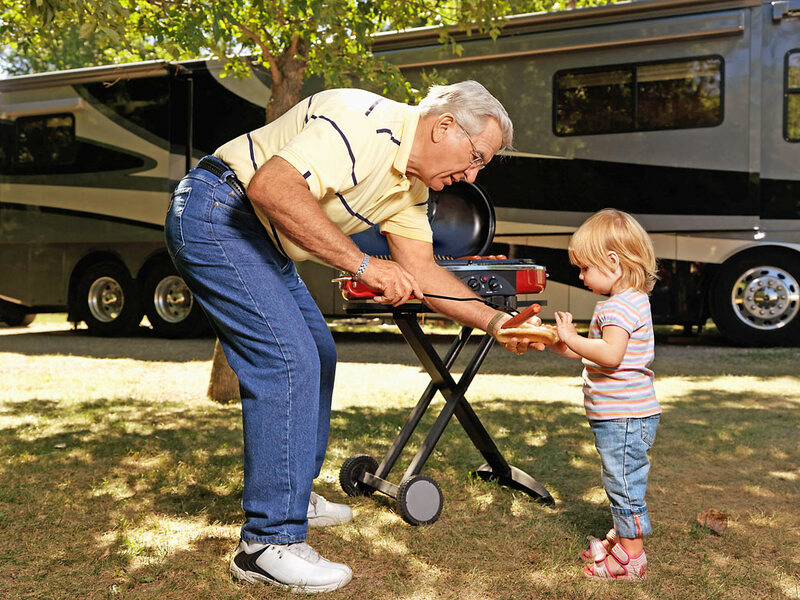 There is so much to learn about owning, operating and maintaining a RV. Unless they know someone who can teach them all there is to know, these new RV owners are on their own to figure it all out. Consider your first RV your training RV. This is where you will learn the ins and outs of how to operate propane, holding tanks, plumbing, electrical and backing up. It helps you discover whether you prefer the convenience of full-service RV parks or dry-camping in primitive campgrounds, more commonly known as boon-docking. Your ‘training camper’ teaches you how to equip, furnish and pack an RV. You learn just how much interior storage space (closets, cabinets, drawers) you really need (is there ever enough?). It reveals how critical the size and accessibility of the outside storage bays can be and the importance of cargo-carrying capacity and towing capabilities. Not to mention sleeping capacity as well. Did you really need the bunk beds? 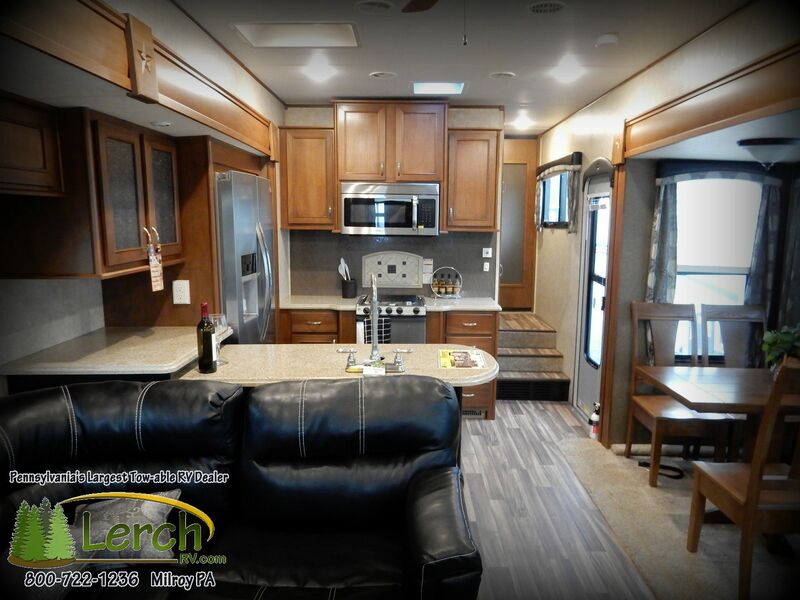 It helps you determine what floor-plan, features and accessories would best suit your RVing lifestyle and needs. And if you really enjoy all that you learn about the world of RVing, there will be another new RV!